We all know that getting outdoors and putting some miles in makes us happier, healthier and helps us live longer. But what about our dogs? There is nothing dogs enjoy more than going out for a walk with their human. 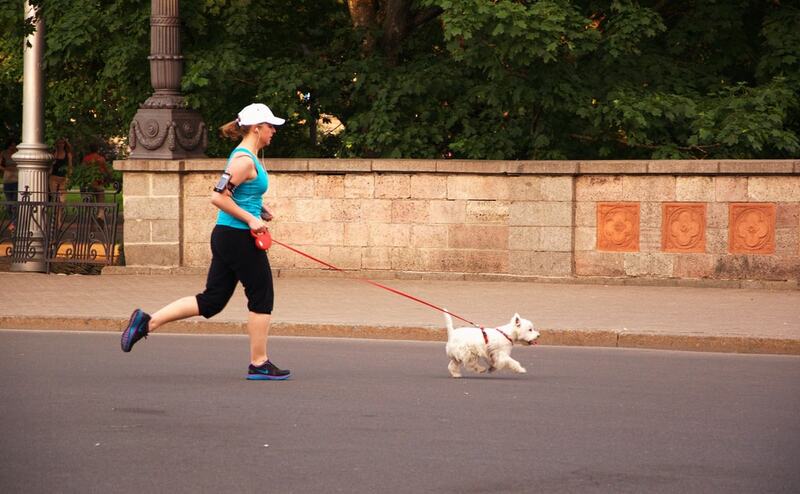 So, how do you take it one step further to turn your dog into your running partner? 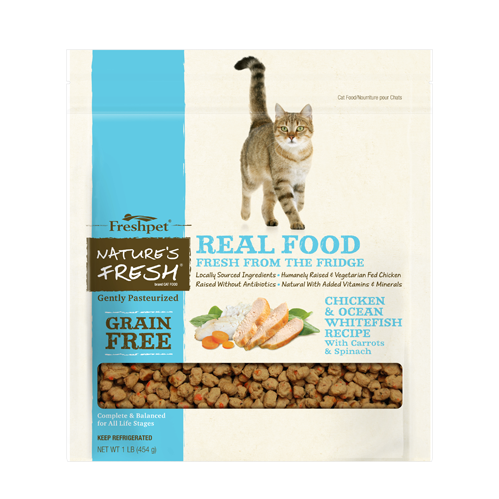 Here to help is veterinarian and friend of Freshpet, Dr. Katy Nelson. She is a practicing veterinarian with over 14 years of experience, she is passionate about reducing pet obesity and is a champion of human/pet fitness and nutrition. She's also the host of the The Pet Show with Dr. Katy on DC's NewsChannel 8. There are so many benefits to running, not just for us but for our pets as well. Before we go into how to get your dog into running condition, I'd like to start by sharing the three biggest benefits of having your dog as your trail partner. Whether your pet is overweight (as almost 60% of the pet population is), or the perfect weight, exercise is the key to getting and staying healthy. Building lean muscle mass and cardiovascular endurance will not only help your pet to feel better (and last longer on the trails with you), but lean muscle also consistently burns more calories even when your pet is at rest. 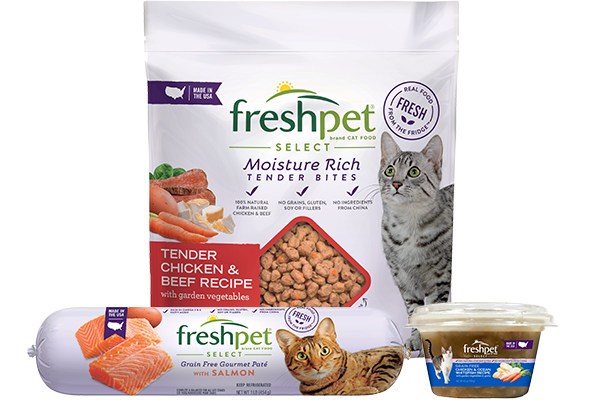 Consider a high-protein, fresh diet for increased energy like Freshpet Select (use Freshpet's Store Locator to find a location near you). "Idle paws lead to the devil's handiwork." A bored or stressed dog is a dog that is going to get himself into trouble. We all know the endorphin release that we enjoy after a good workout, and well, our pets are no different. Exercise leads to stress release, and a much happier pooch at the end of the leash (not to mention a happier human on the other end). After all, a tired dog is a good dog. We all know that having a workout partner keeps us more consistent, and what better partner than one with big brown eyes that you could never say no to? One that's thrilled at the end of every day when you walk through the door and loves you unconditionally. As you build to a comfortable level together, you both will enjoy your time together so much that it may just become your favorite part of your day. 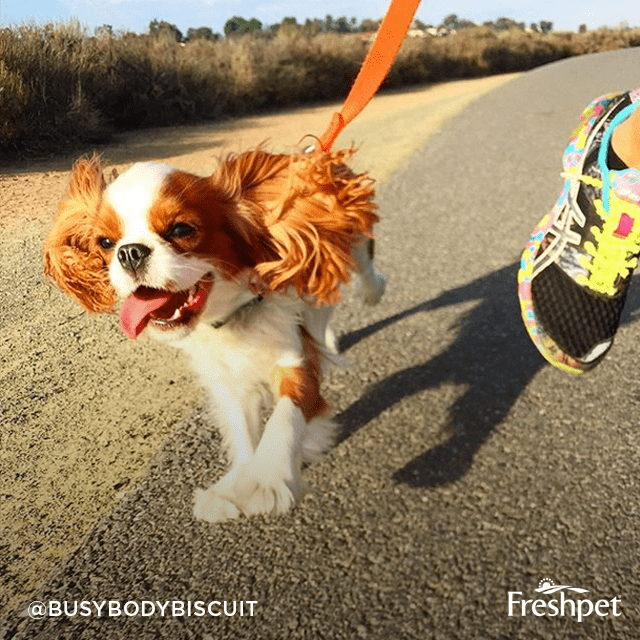 Now that we know all of the benefits of running with your four-legged friend, how do we take those first few steps? 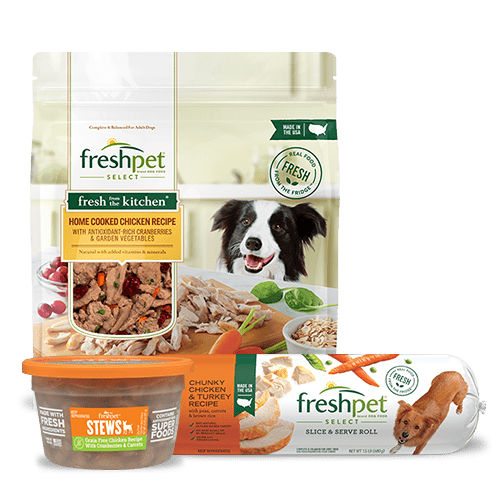 First and foremost, have your pet examined by your veterinarian prior to starting any exercise program to ensure that their heart and joints are healthy enough to start running. And while you're there, ensure that they're up to date on their flea, tick, and heartworm preventatives as well as their vaccines, as running outside is better done with good protection in place. As humans, we know that we should start any new program slowly. You can't run 10 miles without running all the miles in between, right? It's the same for dogs. Start with a short run, maybe a half mile or a mile and then build up endurance. We also know that stretching after a run is important to make sure we reduce muscle soreness. This is important for dogs as well, so have Rover move from a sitting to standing position and then back down several times to flex his/her hip and knee joints. How about positive reinforcement? Well, turns out just like us, dogs LOVE positive reinforcement so go ahead, give Rover that pat on the head and tell him what a good job he did. Or, bring some treats along for your run. 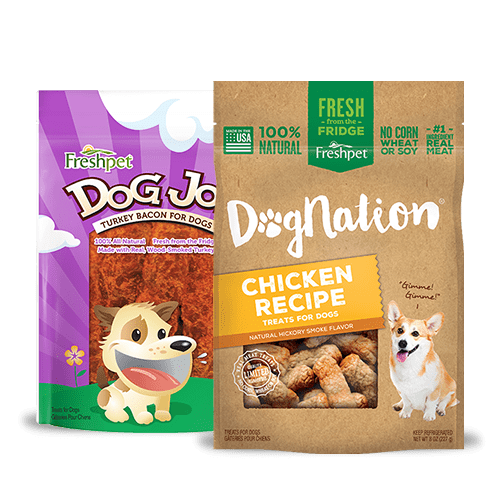 My dogs love to be rewarded with Dognation Turkey Bacon Treats. 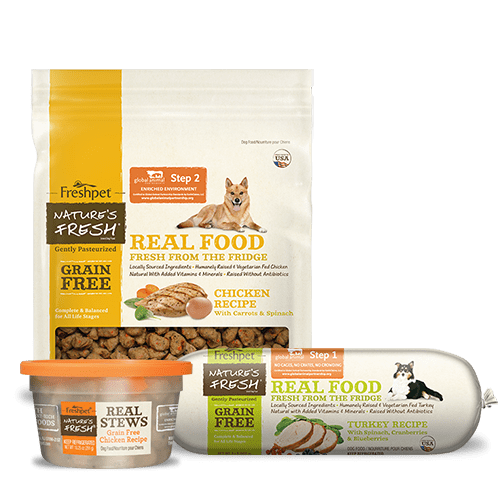 There are additional considerations for your dog as well. Here is a list of things to make sure your dog stays happy, healthy and injury free during your run. 2) Give water an hour before running and immediately after a run give a small amount from an elevated bowl. Gulping can cause potentially fatal GI distress so a little bit at a time is key. I love these portable water bottles for dogs, made in the USA. 3) On hot days, start earlier or stay under the cover of trees. 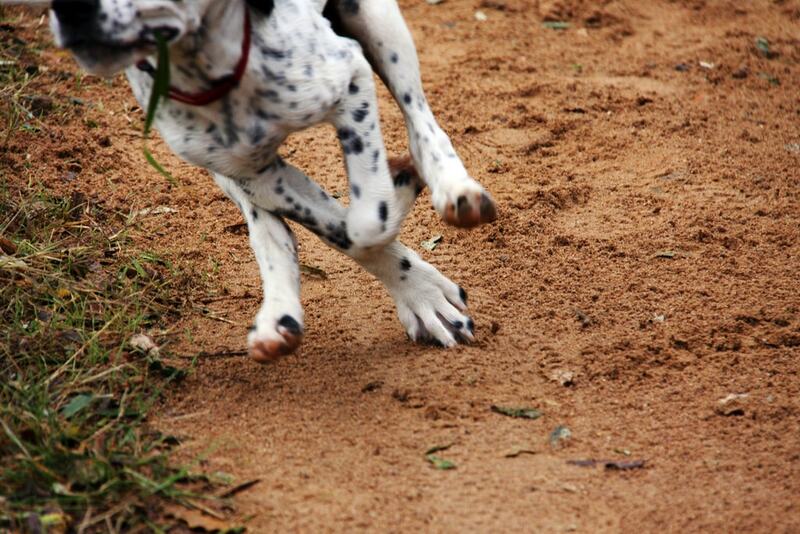 Remember, pavement can be hot so keep those paws cool by letting Rover run on the grass if possible. 4) Small snacks are ok, but just like us, a big meal can weigh Rover down. Feed Rover an hour or 2 before the run to give him time to digest his food. And just like us, a diet high in protein will give him the energy he needs to go the distance! 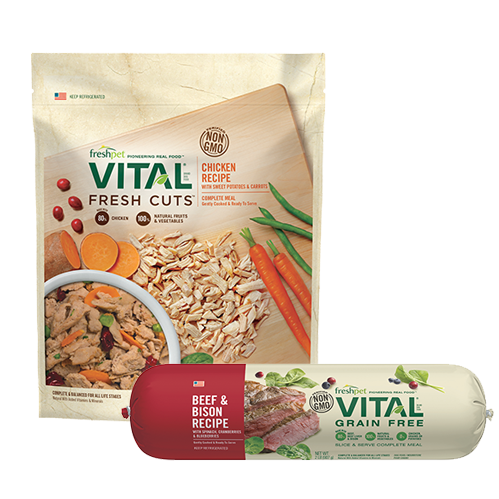 I recommend feeding Freshpet Vital Beef and Bison or Multi-protein slice and serve rolls. 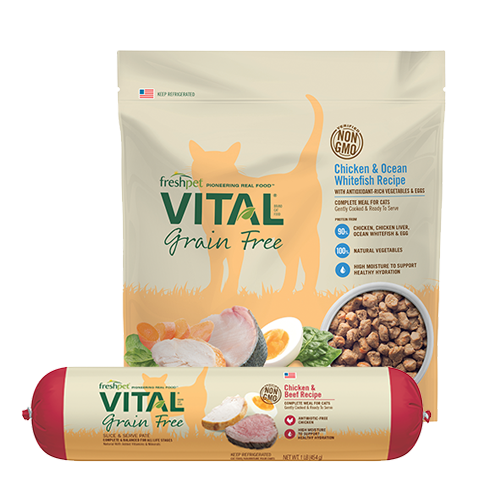 Each recipes has over 80% animal protein to keep your pet going. 5. Attach the doggie leash to a body harness to prevent pulling or yanking on the neck which can cause disc issues. Remember, take it slow and have fun! We hope you enjoy this extra healthy time with your dogs.